If you drive more than a few miles in any direction in South Dakota, you’ll encounter a farming or ranching operation. Unless you’ve lived on a farm recently, you may not know exactly what you’re seeing. These are a few of the items you might wonder about. The shiny metal structures in various shapes you see have replaced silos for grain storage. They’re lighter and less expensive—much like metal and vinyl backyard sheds. 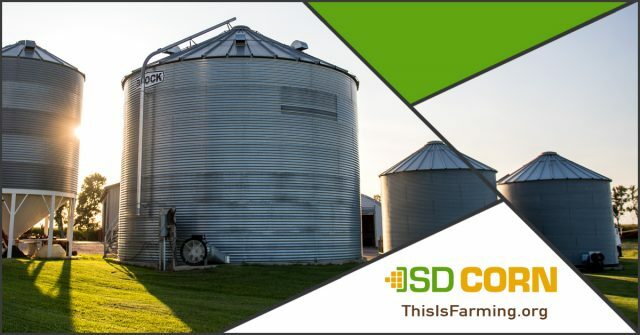 Because of fluctuating commodity prices, more farmers are opting for on-farm storage so they can sell when the time is right. Some farmers store silage in these bins. Silage is chopped corn—cobs, stalks and leaves—which is fermented for preservation and digestibility and then fed to livestock. Those spindly metal structures in fields that look like giant futuristic spiders? They’re basically enormous sprinklers, similar to a sprinkler you might use in your own yard, but loaded with technology and sized appropriately for a field. In areas where moisture is insufficient, farmers use irrigators to deliver water to crops. While tremendous advances have been made in plant breeding to create drought-resistant hybrids, some areas are chronically dry and crops need irrigation annually. You’ll see crops planted in perfect rows, which can resemble beautiful patterns, especially where the land gently rises and falls. How do farmers do that? Precision ag technologies help farmers use consistent spacing between rows—not because it looks great, but because it makes crop management and harvest easier. Plus, as home gardeners know, even rows help with spacing and garden management. It’s not just your imagination—farm equipment IS getting bigger. In the 1970s, 12-row and 16-row planters were common. Today, many farmers use 24-row, 36-row and even 48-row planters. This increases efficiency—just as today’s larger lawnmowers help you get more done in less time. What you can’t see until you get in the cab is how much technology is at work during planting, application and harvest, helping farmers conserve resources and increase sustainability. After harvest, why are some fields completely bare while others are full of stalks and stems? What you’re seeing is conventional tillage (clearing and disking) versus no-till (leaving leftover plant material in the field—which is like mulch in your garden or on your lawn). In reality, there’s an entire spectrum of tillage practices farmers can use, depending on their soils, weather and crop rotation. Most people recognize corn plants. But U.S. farmers grow hundreds of different crops. In South Dakota, along with corn you’ll see soybeans, sorghum, wheat, sunflowers, alfalfa, oats and barley. Other less-common crops include flaxseed, millet and dry, edible beans. Understanding what we see on farms helps us become more comfortable with modern farming methods. If you have questions about other things you’re seeing, contact us at 605-334-0100.